There is a process of weathering that occurs that can take between 3 and 9 months. 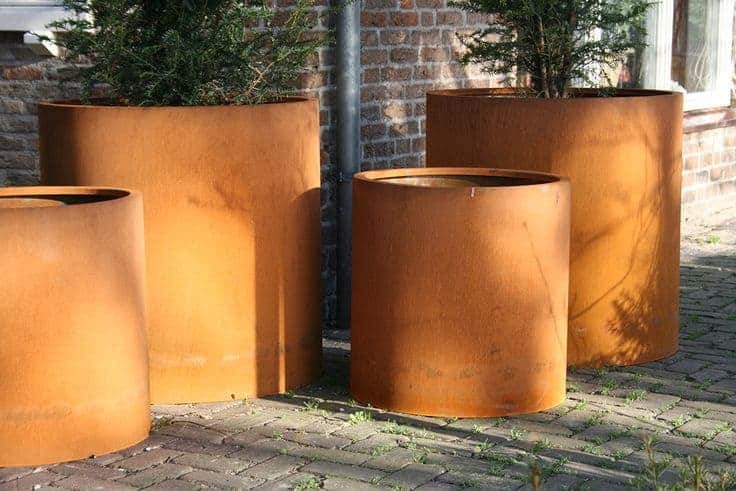 It is during this period that the corten steel forms a protective coating as it rusts – changing the colour from raw steel to a rusted finished. 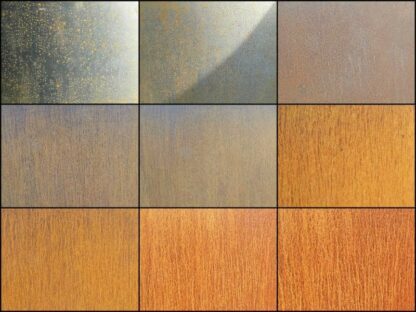 Throughout the weather process, there is a liquid ‘run off’ that continues to a lesser extent, long after the weathering process has ended. Please bear in mind when thinking about purchasing a corten steel product, the ‘run off’ is a by product of the protective rusting that occurs, and it may stain some materials that it comes into contact with, like stone or concrete. 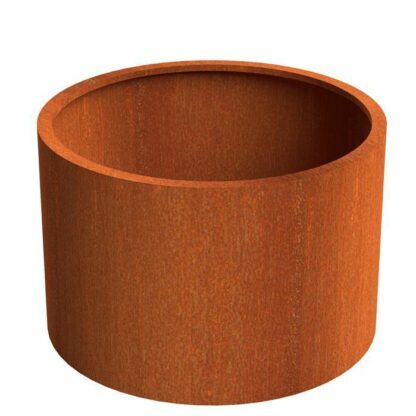 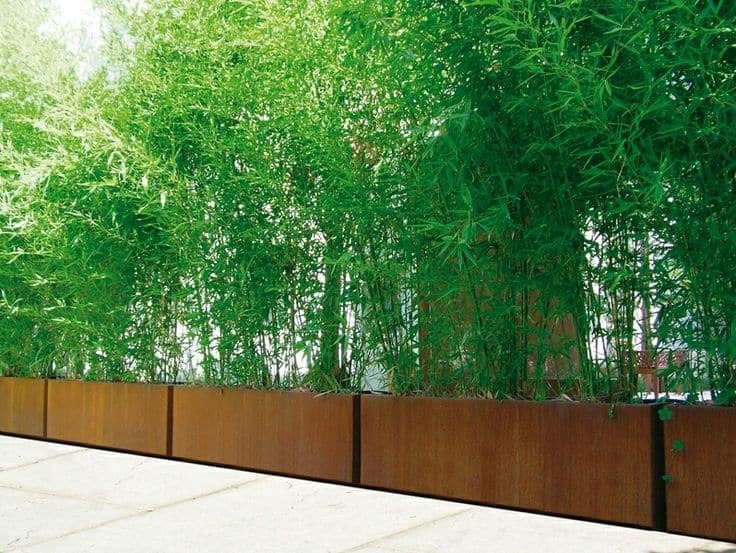 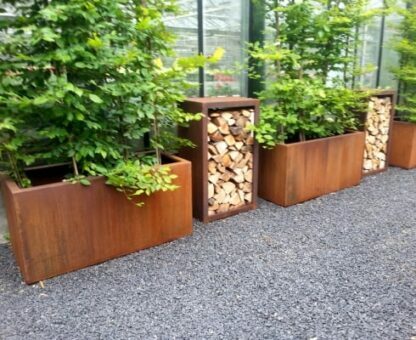 The vibrant colour of Corten steel, makes it unique for a number of placings and applications. Firstly, for traditional designs, a fully weathered corten steel planter might look like one of the original fittings of an aged design. 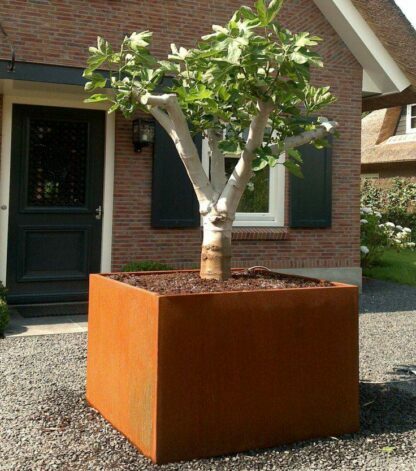 As for more modern design schemes, the rusted finish provides a distinct industrial feel. Perfect for adding some edginess to what might otherwise might a dull, minimalist design. 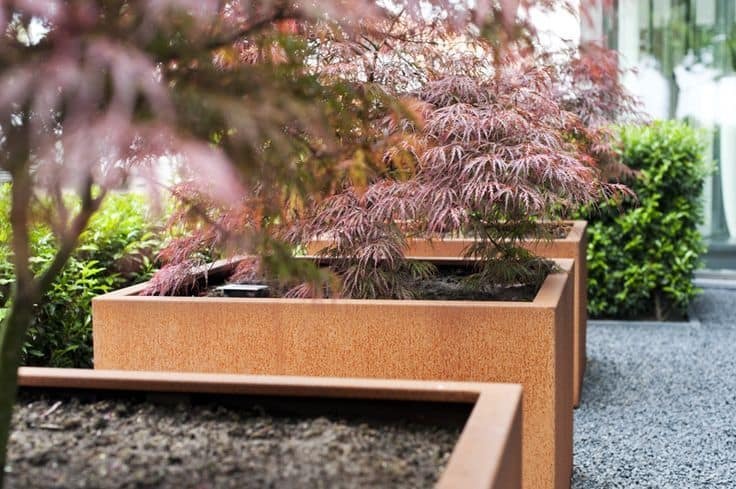 Steampunk is becoming a more and more popular design niche – and there are very few sustainable garden lines that you can buy as new to meet this need. 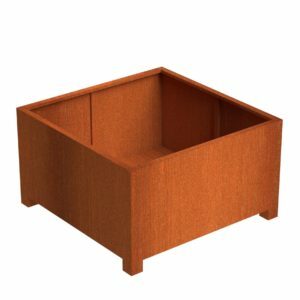 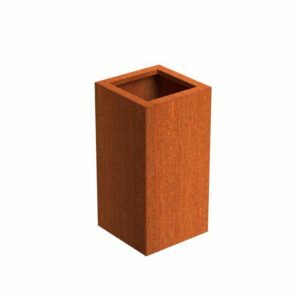 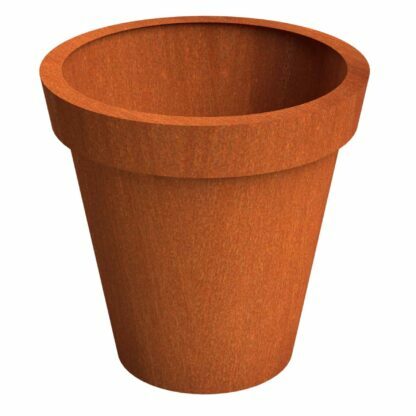 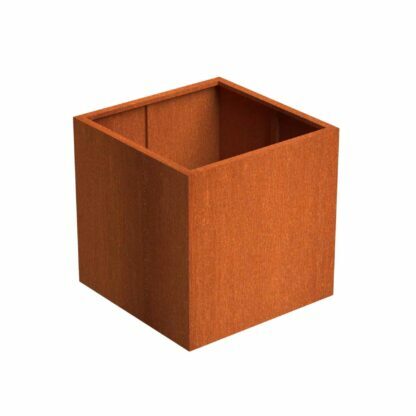 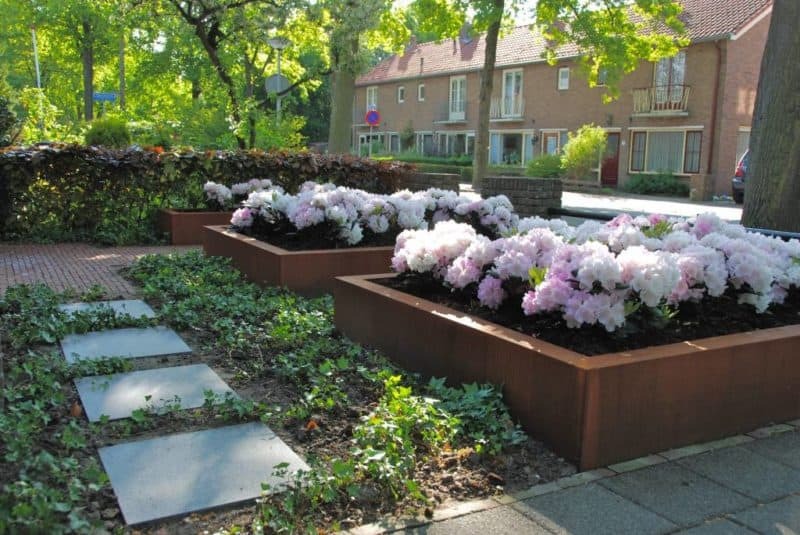 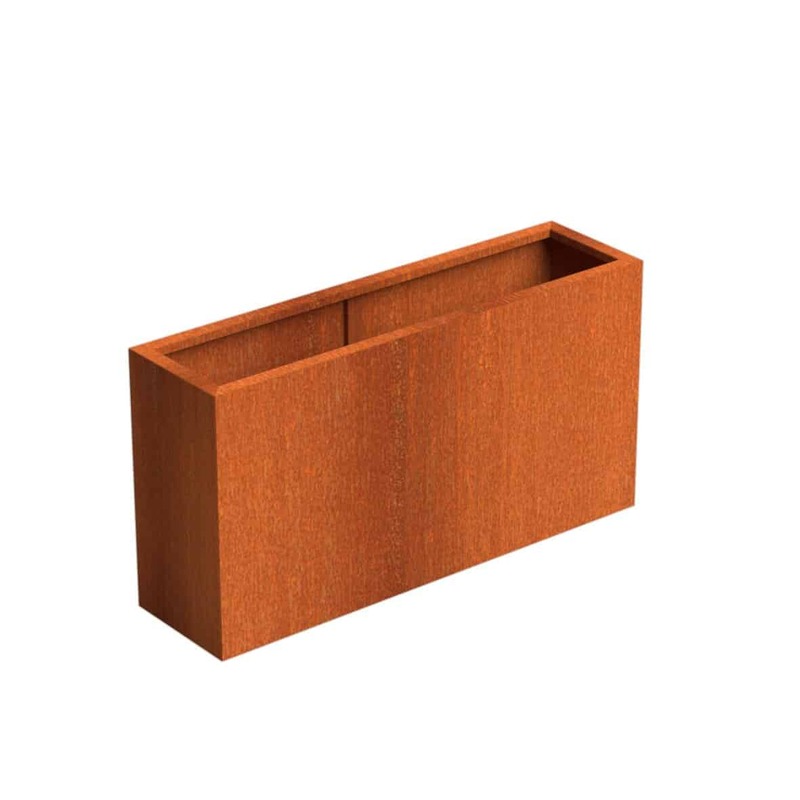 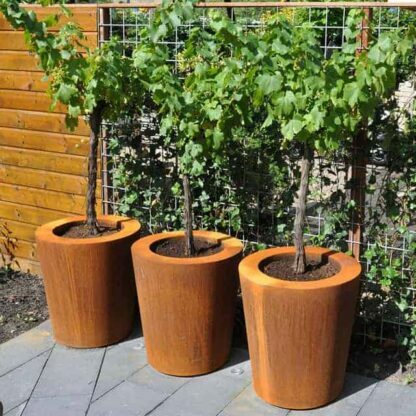 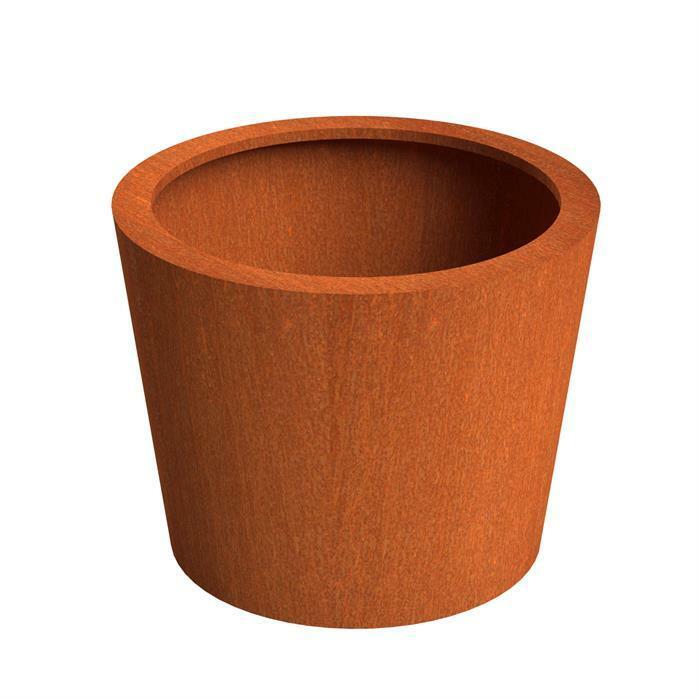 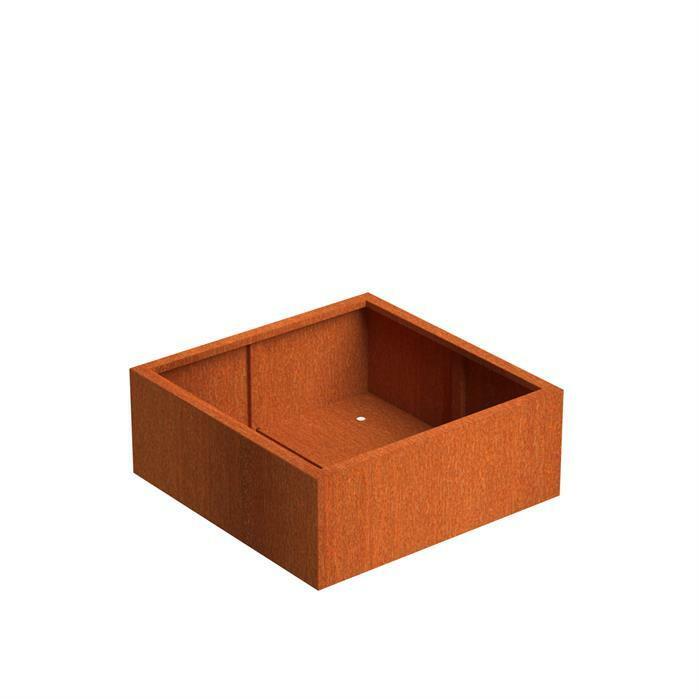 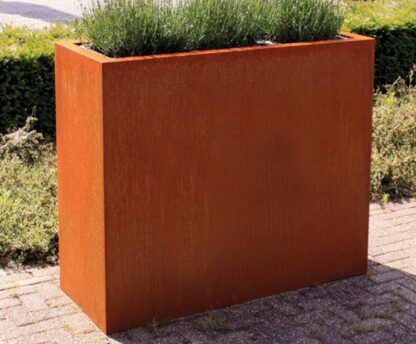 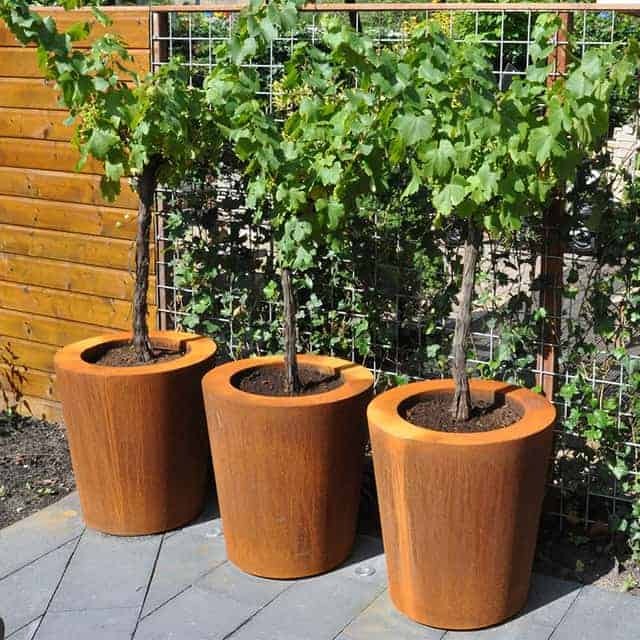 We sell the Corten Steel planters in a number of models, from various incarnations of a cube planter – that is to say, cubes with feet, low cubes etc, to towers, troughs and a few rounded columns. Between these different styles, you should be able to find what you are looking for. 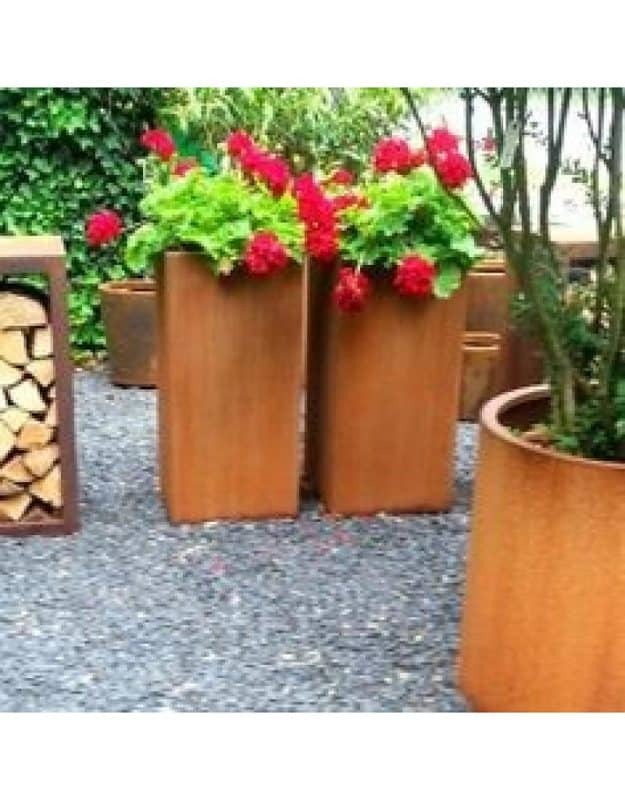 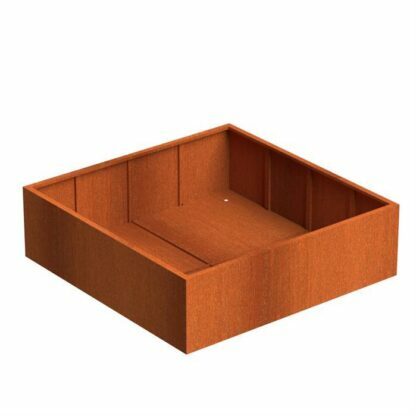 The Adezz Corten Steel Andes trough with feet is a little unique in that outside the Adezz lines of products, very few planters have noticeable feet like this planter does.